It is that time of year. People start thinking about Christmas shopping about this time. 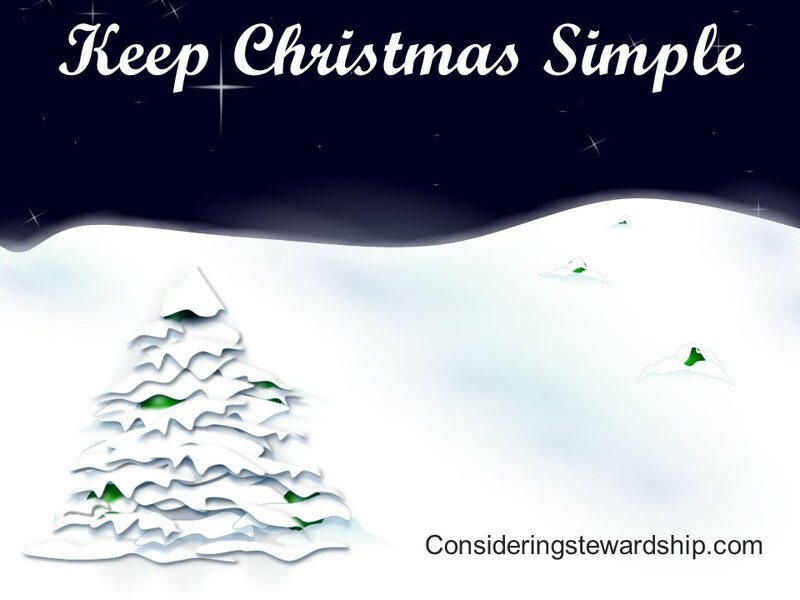 If you haven’t been keeping a Christmas fund already you may be thinking “How will I handle this?” How do we let the whole year go by without making plans to keep Christmas under control. Remember the true point of Christmas. It is a celebration of our Lord Jesus not our Lord Materialism. 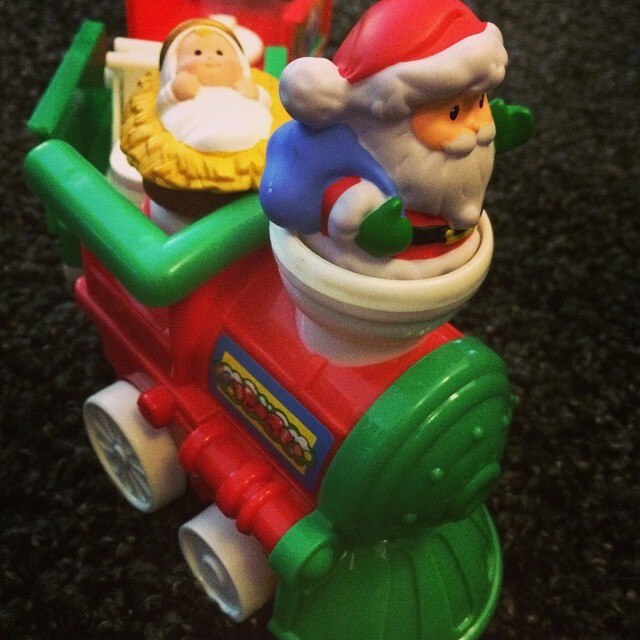 Create traditions with your children that will point your children toward the Gospel of Jesus Christ. We always do a birthday cake for Jesus on Christmas eve, for example. We have always based our gift giving on the idea that God has given his greatest gift to us and so we give gifts as a reminder of that Gospel truth. What type of ideas do you have to keep it simple and focused on Christ? For Christians Christmas shouldn’t be about materialism. The average American expects to spend $882 dollars on Christmas this year according to the American Research Group. All too often our culture pushes us toward worshiping at the retail altar. If you train your children early to appreciate the little things you are off to a good start. There is no reason to try to buy your children’s affections once a year. 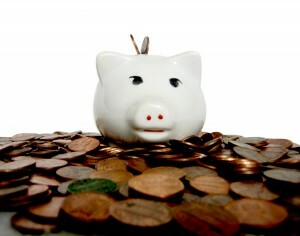 Set a budget – Determine how much money you can afford or want to afford before you open up amazon. We have a free budget sheet here. Secret Santa – If you have a larger family or group you feel you need to buy for then offer the idea of exchanging names and only buying for one or two people. Free gifts – Never forget the power of things that can’t be bought. Free babysitting coupons for a night out can be priceless. If you are like me you freeze up when it comes to actually buying the gifts. 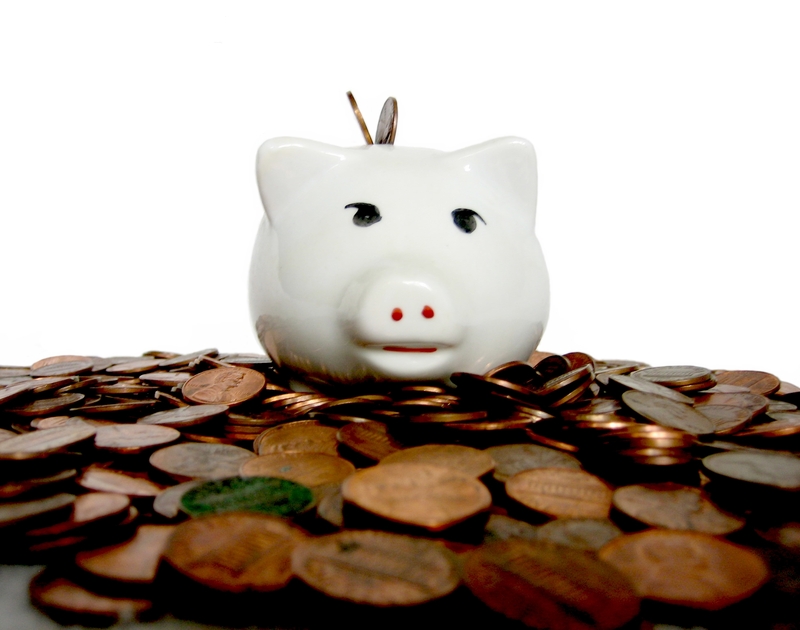 We have the money, we planned for it but what does my wife actually want? I have taken to keeping a running list of anything my wife mentions or anything I think she may like throughout the year. This way I don’t have to worry too much when it comes to thinking for ideas. 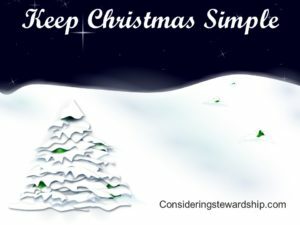 What ideas do you have on keeping Christmas real? Put it in the comments.. This stems from a discussion I recently had on Facebook. It isn’t in my traditional category of personal finance, but it is about stewardship of a different kind. 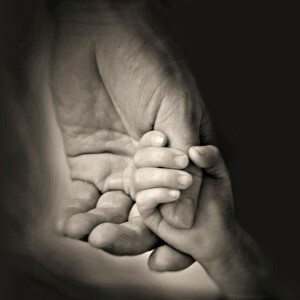 Something very important that we steward is our children. Our kids are in our complete care for temporarily before they come into adult hood. For some time and in some ways their relationship with the Lord is mediated through their parents until they are old enough to build one on their own. However before the throne of God we will all be equals, there will not be the hierarchy of family like we have here on earth. Therefore, we are stewards of our children in as much as they are a gift from God given to us to raise for a short period of time. This is something very important to remember when considering how we raise our children. I pointed out on Facebook that there is something more important than our relationship with our children, and that is the relationship we have with our spouses. Someone posted the picture above and I pointed out that my wife comes before my kids. 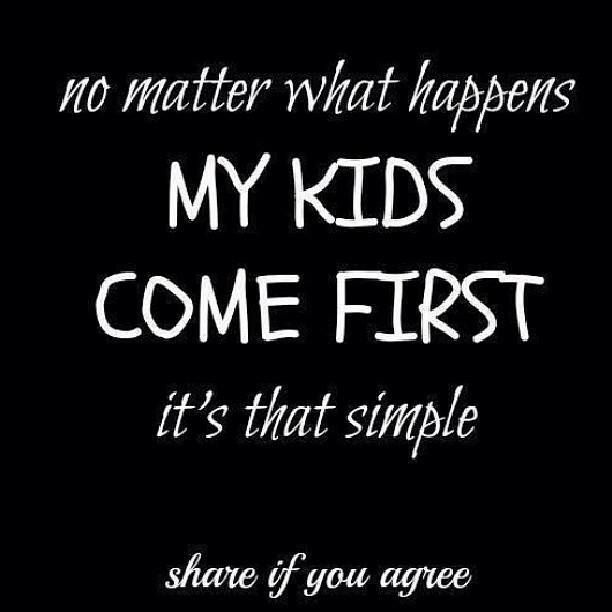 A lot of people think that kids come first and should but I have to disagree. I have caught a little flack for this stance but based on my biblical understanding I can’t see it any other way. Genesis 2:24 says “That is why a man leaves his father and mother and is united to his wife, and they become one flesh.” Children will leave their family and join in a special union with their spouses. 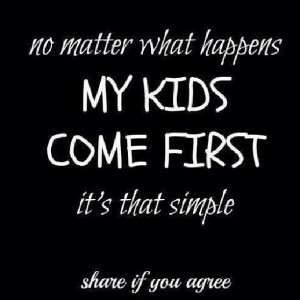 They become one in a way that I am not one with my children. Many marriages start to focus so hard on their children when they come along that they allow their marriages to fall apart. It is why you see many divorces after the kids leave the house, the marriage has taken a back seat to the children and is an anemic version of itself. Your relationship with your children is immensely important, but understand your marriage is more important, it is the foundation of the family to which your children belong. It is structure where they will learn about the Lord, and about love and covenant, before they ever read scripture for themselves. 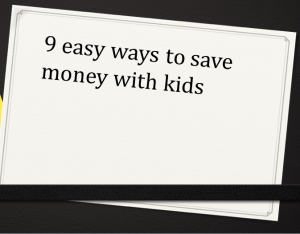 9 ways to save money with kids. 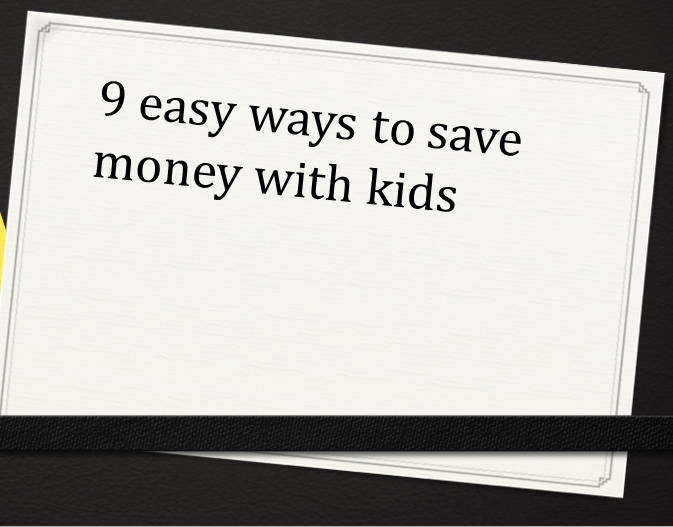 Here are 9 great ways to save money with kids. Create a Babysitting Co-Op No not like those books from such a long time ago but if you and another couple can exchange babysitting services it will give both of you a free night out. You watch their kids this week they watch yours next week. Now you can have date night without paying cash for a sitter. This is great for your marriage as well as your wallet. 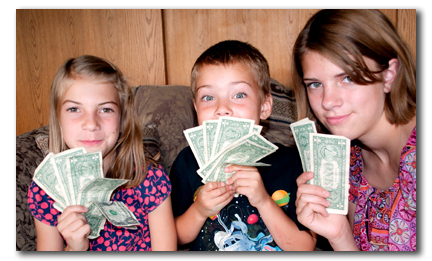 What are other great ways you save money with your kids?